A bit of a slow day today – i’m doing my Amazon Web Services Accreditations and it appears to be a slow news day at the same time. 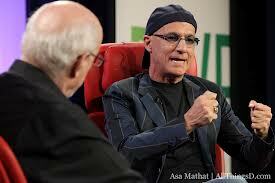 There was neat video cited by Benedict Evans Weekly Email where Jimmy Iovine, one of the two co-founders of Beats, was interviewed at a recent AllThingsDigital conference. Full 41 minute video here. Having listened to it yesterday, I think i’ve changed my mind – and that Beats is probably not the wholesale Xioami-type younger persons brand for Apple. Instead, it sounds like the real benefit is a redesign of Apple’s relatively unsuccessful “iTunes Match” and a re-implementation of the “iTunes Genius” recommendation engine. The Beats folks are curating their own “what track should we play next” capability with over 100 professional record industry mix specialists, and then trying to bolt on some behaviours that a machine-generated recommendation engine can follow. On a completely different tack, I think Twitter’s lack of user growth is certainly below what most commentators appear to thing as possible (with a base of 200 million Monthly Active Users – compared to Facebooks 1.2 Billion equivalent). That said, there was a comment I saw berating people for being so hard on them. That said, a few people are starting to complain about Marc Andreessen’s bombs of successive numbered tweets – the very thing i’ve said (with supporting dialogue from other participants) were really gold. The main complaint given (full article here) was the way they mess up the twitter streams of people who aren’t as fascinated as I am by the content of the discussion to-and-fro’s. I just wish there was a way to bottle these things – and i’m sure they will in time. Whether it’s in Twitter or with a different service. But that’s for another day. In the meantime, back to my AWS certifications.